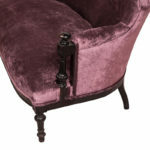 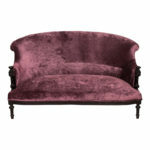 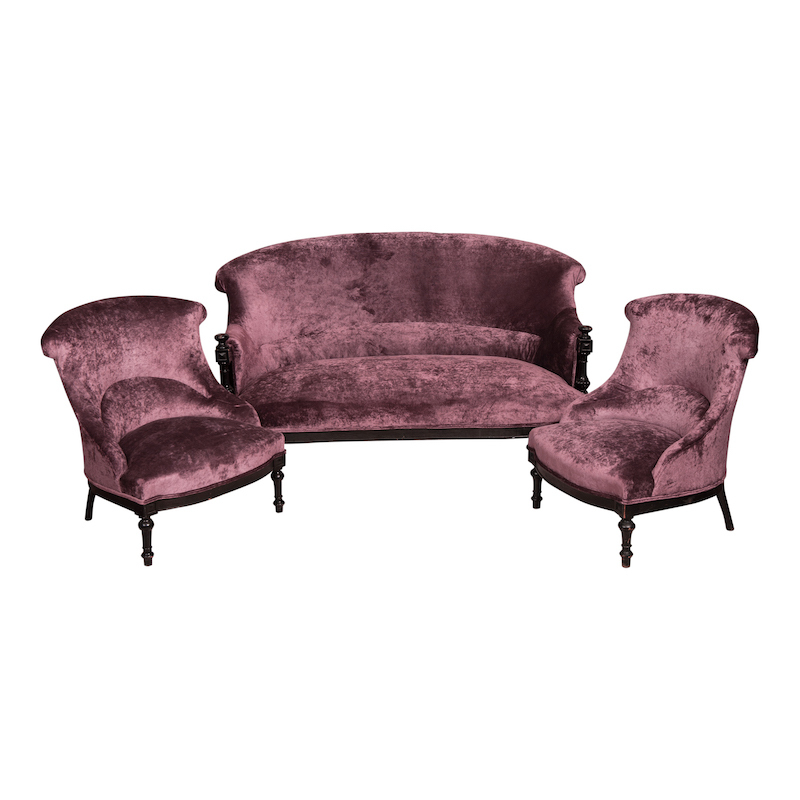 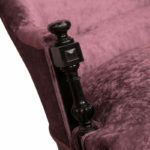 Vintage French settee with a black wooden frame and purple crushed velvet upholstery. Sits at 14″ from the ground. Perfect match to the Hyde Chairs.